Dental staining is inevitable with time, despite efforts you may take to avoid certain foods or beverages. To maintain a beautiful bright smile, many patients often turn to store-bought whitening treatments. However, professional teeth whitening can offer a much more efficient and effective solution. At Peak Family Dental Care, we provide high-quality, convenient bleaching through Kör® Whitening. Our entire team in Cottonwood and Flagstaff, AZ, is dedicated to providing our patients with outstanding care that is tailored to their needs. We will work with you to find the best in-office or take-home treatment for you to enhance your smile. Drs. Bryan J. Shanahan and Ryan Tuinstra can safely oversee your treatment and combine it with other procedures to achieve your cosmetic goals. 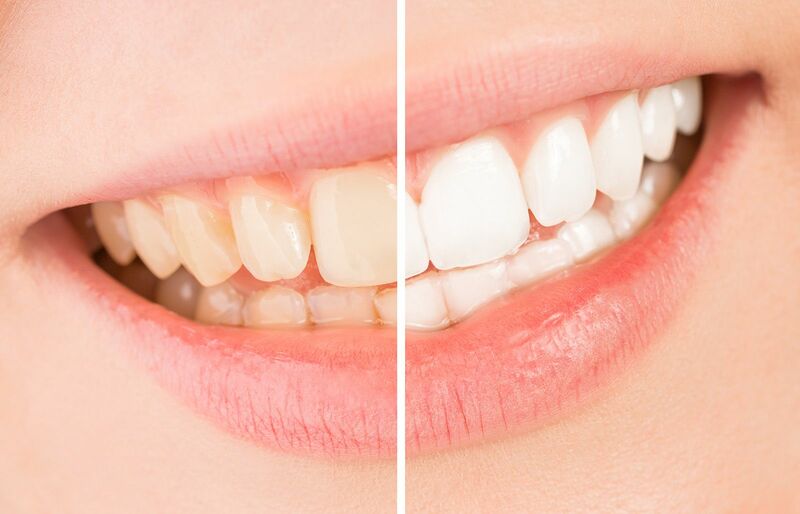 While over-the-counter whitening products such as strips, toothpaste, gels, and mouthwashes can remove some stains, they do not offer the same results that can be achieved through professional bleaching treatments. The increased strength of the solutions used by our practice can remove deeper, intrinsic stains while these other options often only remove lighter, extrinsic stains. In addition, dentist-supervised whitening is safer and can provide more predictable results. Many drugstore whitening kits will have varying strengths of active ingredients. These differences can lead to irregular bleaching and dental sensitivity. Our doctors can work with you to achieve your desired level of whitening, safely and comfortably. Professional teeth whitening provided by our team can brighten your smile by up to 14 shades. We believe in providing the highest quality cosmetic solutions to help our patients achieve their best results. Our practice typically uses Kör Whitening products for both our in-office and take home treatments. When followed properly, Kör can offer results that are up to 14 shades brighter. You may choose to undergo treatment at both home and in-office, or with solely take-home kits. Kör will be administered using advanced trays and whitening gels. These trays differ from the ones you can buy at the store in that they are specifically designed to prevent saliva from diluting the peroxide solution. This features allows the active ingredients to break down large stain molecules to treat even the deepest stains. Before you can begin your whitening treatments, we will first need to take impressions to create your custom trays. You will then be provided with your take-home whitening kit which will include your trays and gel. Typically, the trays are worn overnight for several weeks. However, patients can also use them during the day if they prefer. We thoroughly enjoy creating radiant smiles and take great pride in helping our patients accomplish their aesthetic goals. If you choose to receive more extensive whitening, you will typically undergo an in-office procedure at the beginning and end of your treatment. During these appointments, we will apply an extra-strength solution directly to your teeth. Depending on your goals, further in-office or take-home portions of the treatment may be needed. We thoroughly enjoy creating radiant smiles and take great pride in helping our patients accomplish their aesthetic goals. To complement many of our other cosmetic procedures, we can often combine teeth whitening with other procedures for a custom smile makeover and a dramatic change in your smile. We seek to exceed expectations with every aspect of our care. From personalized treatments to friendly service, we want to create a memorable cosmetic dentistry experience for you. Begin transforming your smile by contacting us online or calling (928) 774-2500 to schedule a consultation. Let us answer any questions you have! This is the best dental office I have ever been to...and believe me I have been to A LOT over the past 10 years!. Each staff member is super friendly and the Dr. Shanahan is an amazing dentist! I highly recommend! We have 2 Arizona locations to serve you.